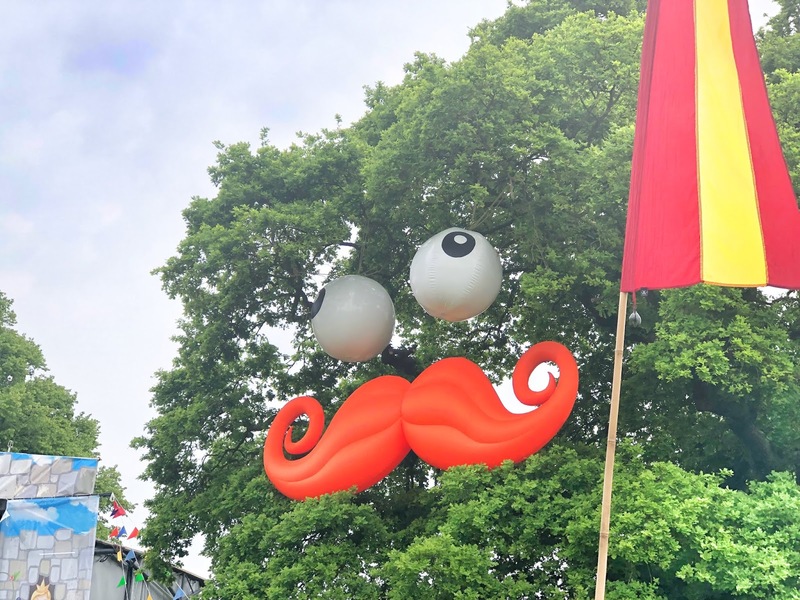 We visited the festival on the Saturday, although it was a four day event that offered camping as well as day passes. At first we weren't planning on being there long as we were a bit worn out from a busy week, but once we got there we realised it would be quite impossible as it was huge with so much to do. We had pre-paid for our parking and, as we didn't turn up first thing, the queue wasn't bad to get in. I imagine turning up much after the gates have opened it would bet it busier, however considering the thousands that attend it certainly didn't feel like a struggle to find a space or that we were miles from the entrance. The first area we came to as we went in was the Hasbro area. There were quite a few different stands in this section, including My Little Pony, Play-Doh and Nerf. Jack of course wanted to visit the Transformers area, so we went for a quick look around and even got to meet Bumblebee, although a rude member of staff did dampen that experience somewhat and Jack refused to have his photo taken in the end. It wasn't far off lunchtime when we got there so after the Hasbro area we found a place with deckchairs and sat down to enjoy a picnic. We brought everything with us apart from food for me, so John went and got me a pizza from a van just behind us. Upon discovering it cost £10, I was so glad we decided to bring a picnic as it would have been so expensive to buy us all lunch! We were right next a fab area filled with stalls and games, so after lunch we had a browse at some of them. 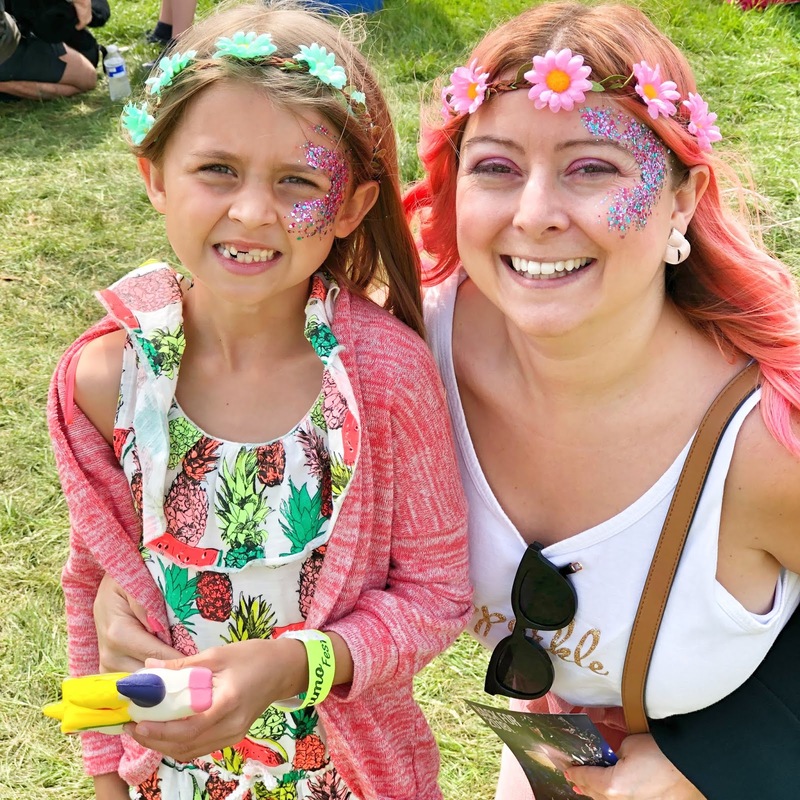 The glitter and bubbles stands were definitely top picks for us, and Holly and I got into the festival mood with some face glitter. We did go past the Helter Skelter however the queue was pretty long so we decided we'd come back later. One mistake we made, though, was paying for the one in the 'Adrenaline' area as it wasn't very good and we didn't realise the main one was free. Also the lady selling tickets told us we could use them throughout the park, which wasn't true so we wasted money buying them as the rest of the rides were too small for our children. 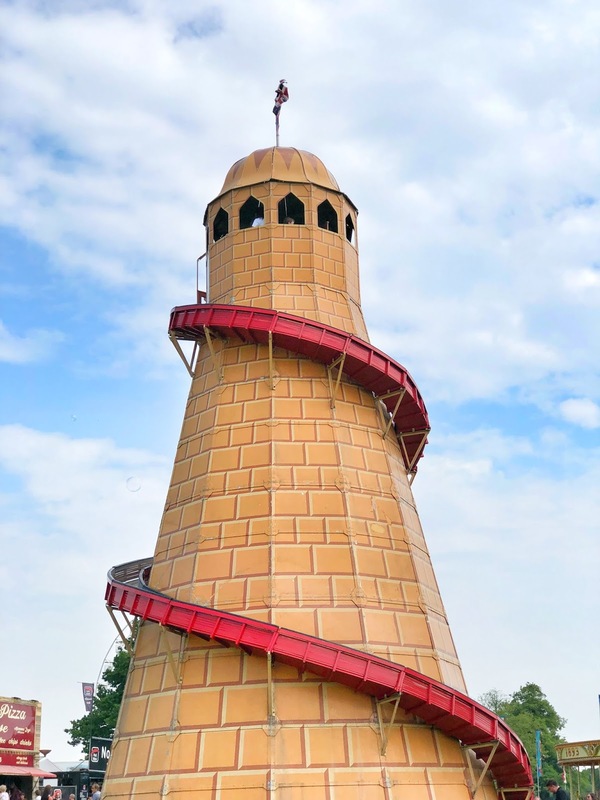 We head to the top of the 'Adrenaline' area and paid for the children to play on the inflatable areas for a bit, however this again was extra at £2 for one go or £5 for wristbands that let you on as many times as you want. Really when I look back there was enough to do to not have to pay for this, but as it was our first time we just didn't release until later. 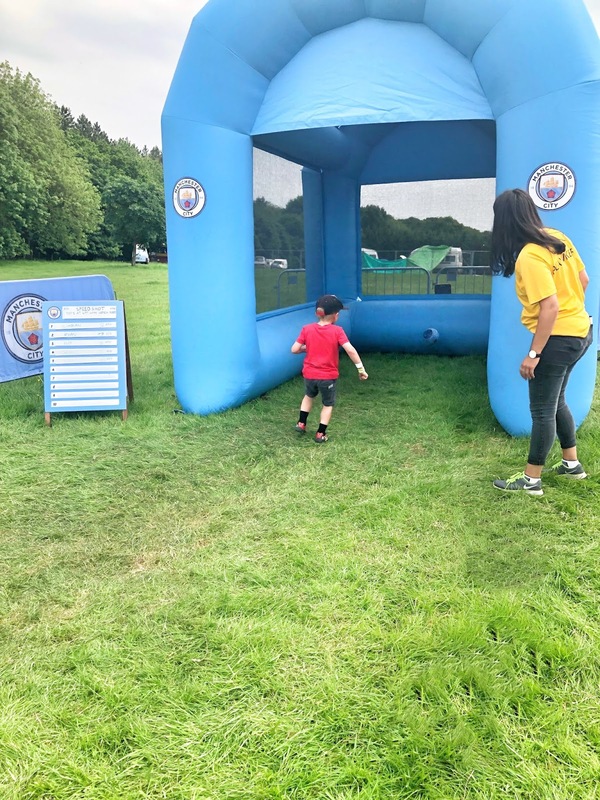 Also in this area was the Manchester City football section and Military Style Education where the children could run along an inflatable assault course, which was great fun. There was also a climbing wall, skate boarding tube, and the children could try caving and archery, all at no extra cost. We then head around to where the rope play area was in the trees, but ended up stopping so many times on the way we never actually got there! There were quirky stands with people making bird houses and pine cone animals, lots of rocking horses in one area, a woodwork area and all sorts of other types of randomness. 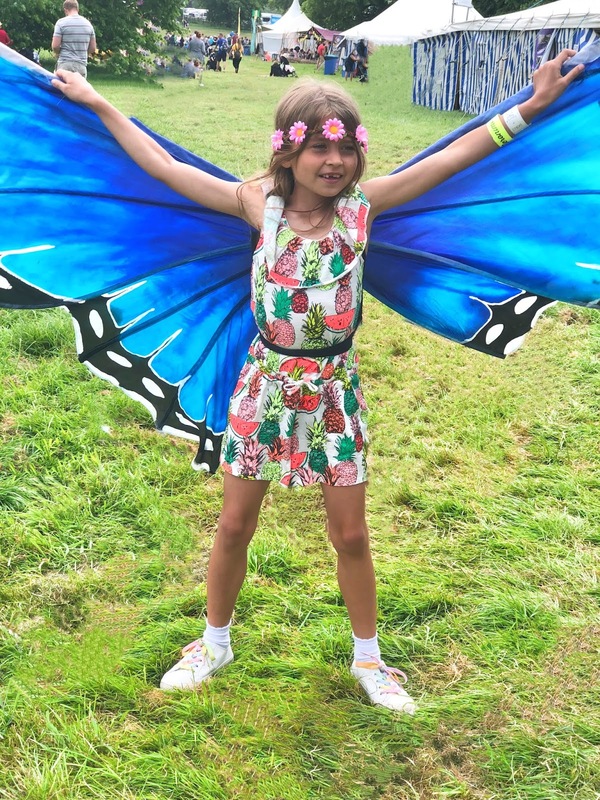 I loved the place where they were giving our fairy wings to children to try on and run around with - the wind had picked up a little bit that and Holly really did look like she was flying whilst she ran about the field, whilst us adults tried not to get poked in the head by random wings! There were so many things we didn't get around to seeing, as we really just took our time and wandered around. However had we been more prepared, or stayed for longer than a few hours, we would have tried out the circus area to see one of the performances or even learn some circus tricks ourselves, and the woodland tribe area where children were free to use their imaginations and hands to create their own play area, an idea which I love. 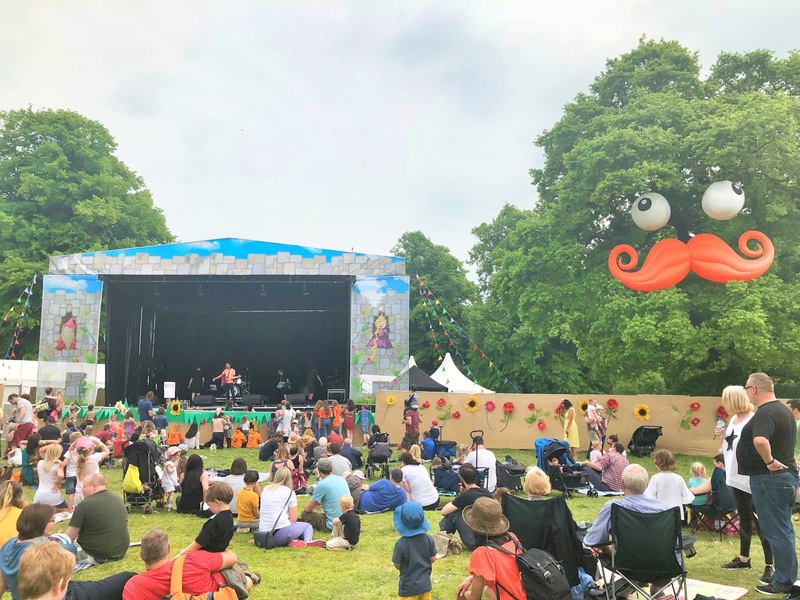 We also didn't see any of the live acts as the children weren't really bothered by that bit, but for younger children in particular there were some brilliant acts and stars on stage. The main pull of Geronimo Fest for me was spending time together in such an unusual way. 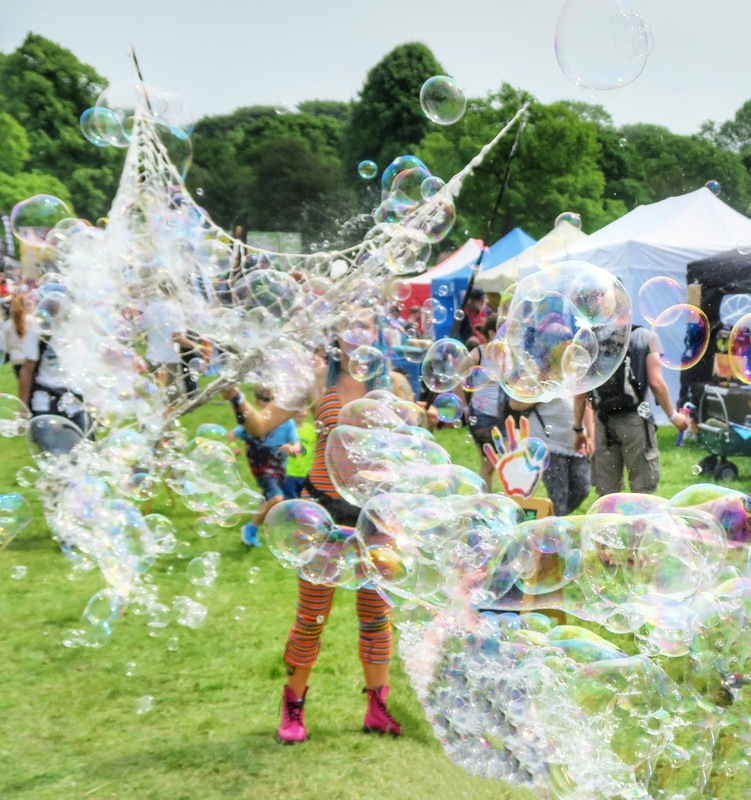 With lampshades in the trees, bubbles flying past our heads and what felt like magic around each little stand we passed, it had such a special and wonderful vibe around the place. There are a few niggles for me, the main one being the cost of food and extras. At £30 for a day ticket, £10 for parking, we then spent another £70 on top of this which we really didn't expect to do. Of course, we chose to spend this money and there are plenty to do where this isn't necessary, but I did feel like we had to say no the children a lot. I also felt like we had to walk back on ourselves a couple of times as we couldn't find some things, which for someone with chronic fatigue I could have done without. And of course the rude member of staff was a bit of a downer at the beginning. 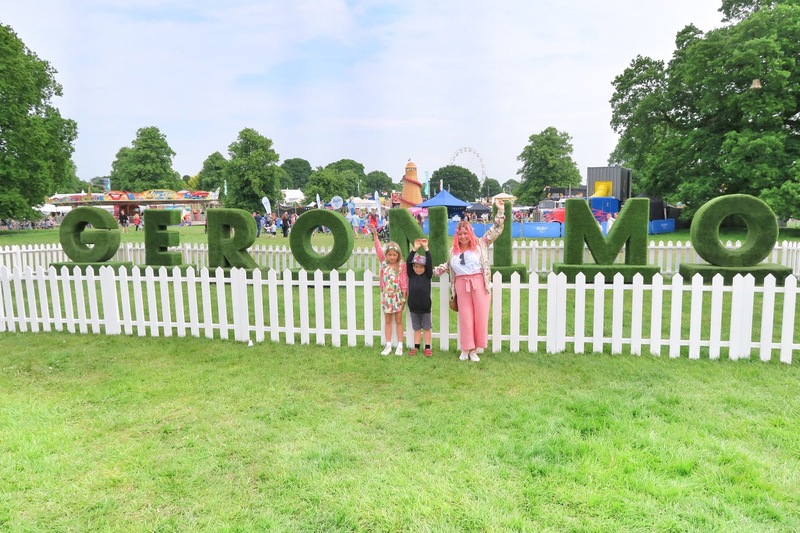 Overall though we absolutely loved our day at Geronimo Fest and have recommended it to friends already. 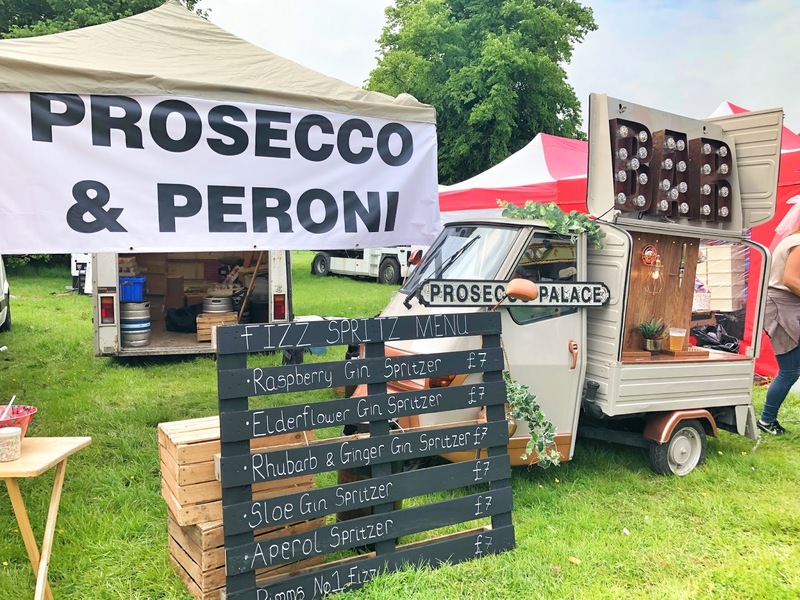 If you're looking for a friendly and family fun festival then it is a fabulous day out. They even had bell tents to hire so if you're like me and not a great camper they looked like a good step up. *We were sent tickets FOC however all opinions are my own.